This year, we resolve to snack happy and healthy, munching on nibbles with plenty of protein, fiber and flavor to keep us satisfied and energized throughout the day. These are our favorite new healthy snacks to start 2018 on the right foot. 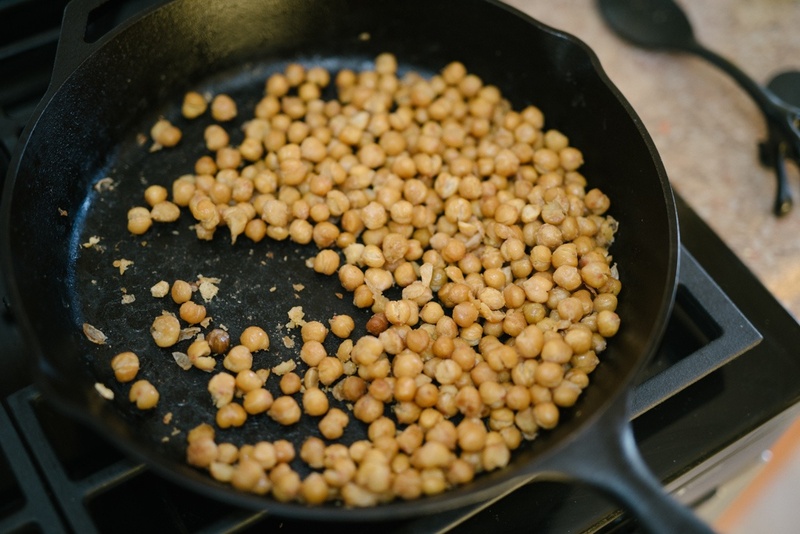 Crispy Roasted Chickpeas are a versatile and filling snack. They can be seasoned in any number of ways, using anything from cumin and coriander to brown sugar and cinnamon to chili and lime. Feel free to experiment! Though crispiest when hot, these roasted legumes take on a nutty flavor and will keep for several days. They are perfect for packing in a small container to take to work. 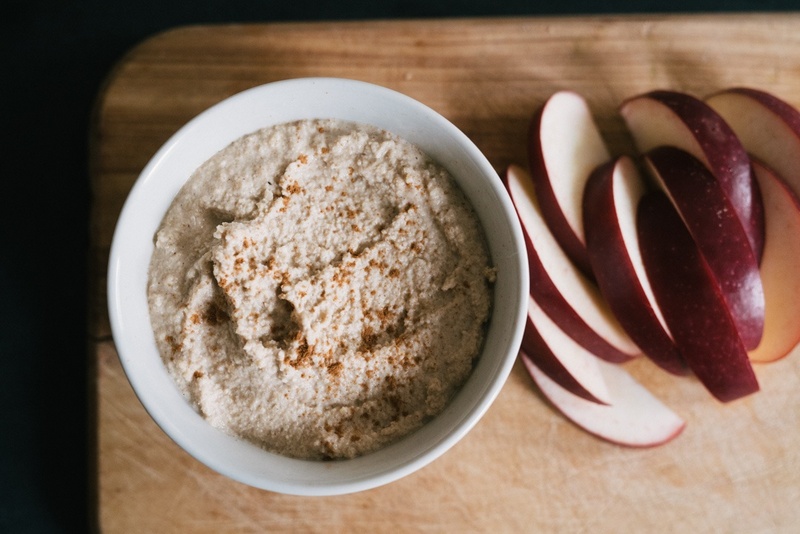 If you find yourself craving something sweet, this smooth cashew dip is for you. This recipe transforms its five simple ingredients into something that feels indulgent. Scoop it up with apple or pear slices... if you can resist eating it with a spoon. 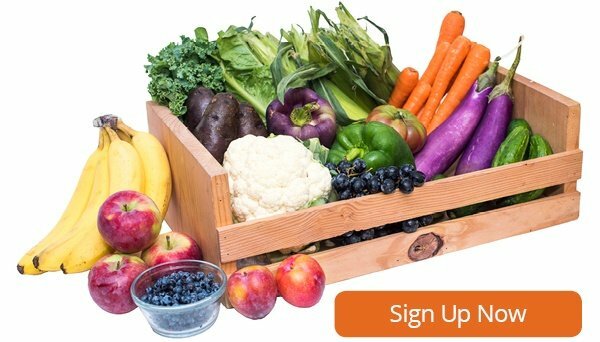 Get your fiber here! 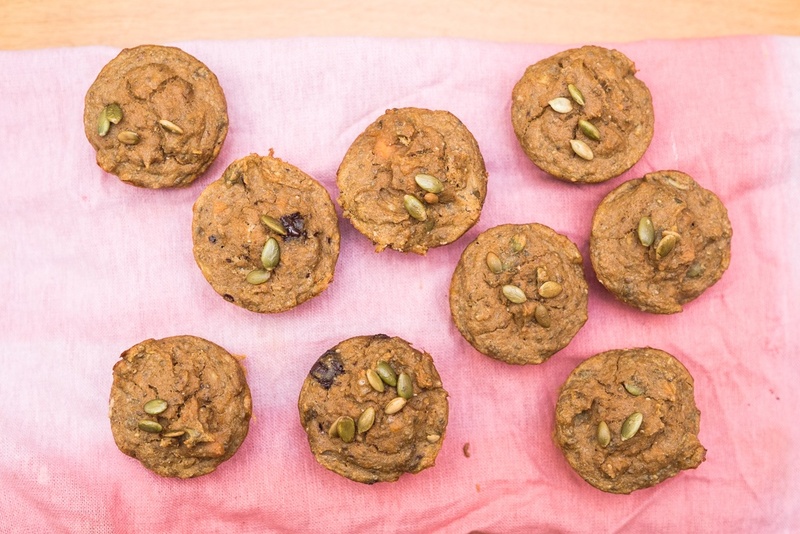 These may look like typical muffins, which can be packed with mood-swinging sugar, but they are actually made from just a handful of wholesome ingredients: bananas, sweet potatoes, nut butter, cinnamon and eggs. You can leave these scrumptious bites as they are, or mix in pepitas, chocolate chips, chia seeds or dried fruit to satisfy your sweet, crunchy or chewy cravings. If prep time is short, keep an assortment of packaged snacks on hand. Boston Organics' afternoon snack kit includes an eight-piece assortment of snacks to keep you powered up throughout the workday. Each box contains seasoned blends of nuts and dried fruit from Gorilly Goods, snack-sized Clif trail mix bars and bags of Hippeas Chickpea Puffs. Stock up on your favorites from the box, or check out our other snack offerings, including additional Gorilly Goods varieties. (The Boston Organics crew has already fallen in love with Gorilly Goods Forest clusters, a toothsomely chewy blend of banana, walnuts, coconut and chocolate.) 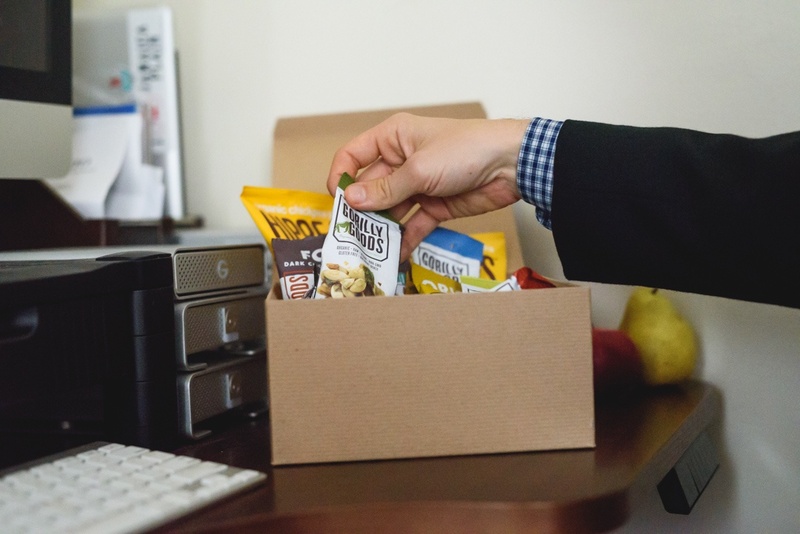 Share your box around for a satisfied and healthy office in the new year.